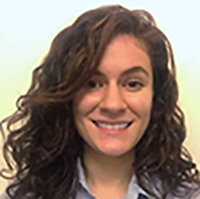 P&N Clinical Doctoral Student Emily Cherenack is one of 17 Duke University Students to receive a Graduate Student Training Enhancement Grant (GSTEG) for 2017-2018 from the Office of the Vice Provost for Interdisciplinary Studies. The goal of this grant competition is to expand the opportunities for graduate students to “step away" from their core research and training, so as to acquire additional skills, knowledge or experiences that will enhance the approach to their original research. Each student will spend up to one semester acquiring skills, knowledge or experiences that will enhance the approach to their original research. Cherenack plans on volunteering with Femme International to implement reproductive health intervention for adolescent girls in Tanzania, and receive training from Dr. Adam Carrico at University of Miami for using biological measures in research with women, which will further her ability to conduct research on reproductive and sexual health among adolescent girls in Tanzania. Emily's P&N faculty advisor is Dr. Kathleen Sikkema.